The pupils of 1st ESO have presented in RECREARTE some of the short stories which have been prepared in class with the Language Teacher. Today, the pupils of 1st ESO have participated in the hats Parade organized by the English teacher, Pedro Cilla. GREAT SUCCESS AT THE SOUL CONCERT TODAY !! Today, on the 27th of March, which is the last day of the school term just before the Holy Week... there was a soul concert by Silvia Solans, organized by the English Department. It was very interesting to see the pupils from 4th, Bto and Cycles attentive to the screen and the lyrics. At the end of the concert, Marga and Luisa were dancing a rock and roll 'Tutti Frutti'. THANK YOU VERY MUCH SILVIA !!! 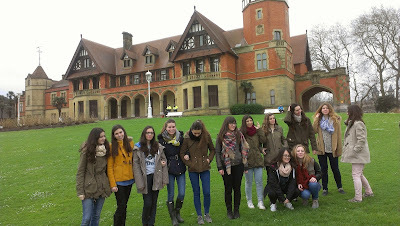 ON THE 20TH MARCH, THERE WAS A COMPETITION ORGANIZED BY THE DEPARTMENT OF GEOGRAPHY AND HISTORY. We are very proud of them for their interest in participating. And we want to say 'congratulations' to Sofia, of course !! •St. 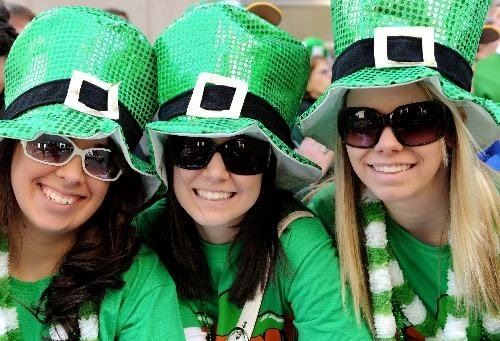 Patrick's Day is celebrated by the Irish and Irish at Heart in big cities and small towns alike with parades, "wearing of the green," music and songs, Irish food and drink, and activities for kids such as crafts, coloring and games. Its a time for fun. Some communities even go so far as to dye rivers or streams green! See all the Parades & Events going on around the World to celebrate St Patricks Day and find your nearest Irish Pub! That can live without it!! So, be happy and ‘smile’. NEXT 27TH OF MARCH... WE ARE GOING TO HAVE A CONCERT AT THE ELECTRONICS HALL AT ABOUT 12.30PM ORGANIZED BY THE ENGLISH DEPARTMENT. DON'T MISS IT IF YOU ARE DOING 4TH, BACHILLERATO OR CYCLES.... !! 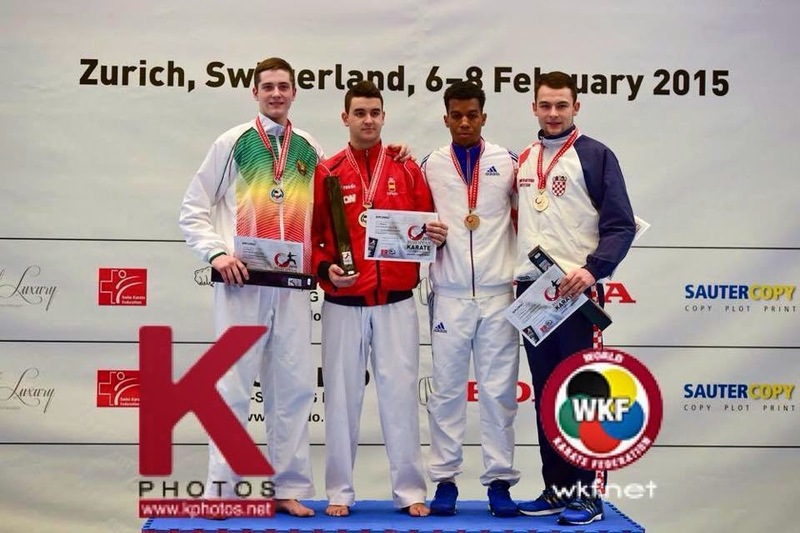 Did you know that Marcos Martinez from 2nd Bachillerato won the last KARATE CHAMPIONSHIP in Zurich last February?? I am going to write about illnesses, specifically about anxiety. Nowadays a lot of people suffer from this disease. Why? On the one hand, people are more stressed than before. Women work out of the house and when they come from work. They do household chores as washing, dusting, buying…Besides they have to take care of her children. However, this is changing and men every day do more things in their homes. When people ARE very nervous, they should go to the doctor, so that he can prescribe pills. Although at present a lot of people are opting for alternative therapies as doing yoga, having herbal remedies or doing relaxing massages. Finally, I have to say it is very important to have fun, speaking, going to the cinema or having dinner with friends. Definitely, devoting a little more time to yourself and being very happy is a must. IF THAT BECOMES A REALITY, OUR SUL, OUR ENERGY, OUR BRAIN COULD BE PRESERVED IN A MACHINE WHEN OUR BODY DIES. I WISH THAT COULD BE TRUE IN ORDER TO LIVE FOREVER. 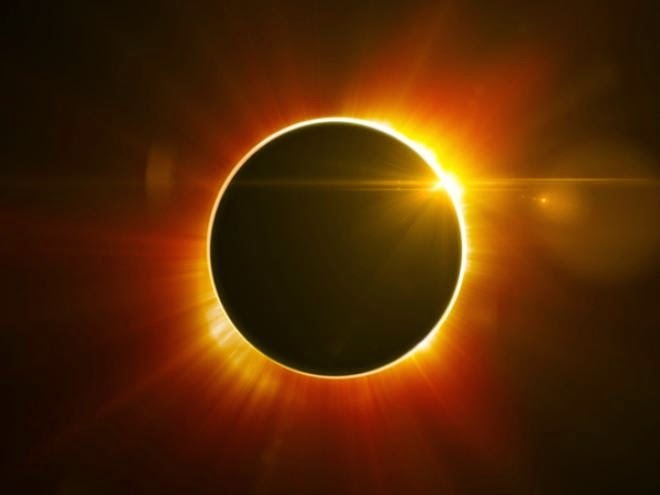 About 80% of the sun will be eclypsed by the moon if you are in Galicia... maybe 60% in Aragon . MY STUDENTS OF adm iii HAVE BEEN INVENTING SHORT STORIES, ALL RELATED TO 'A WISE RAT'. The students have been making up short stories with the language teachers in Spanish and now they are hanging in the corridor for everybody to vote. 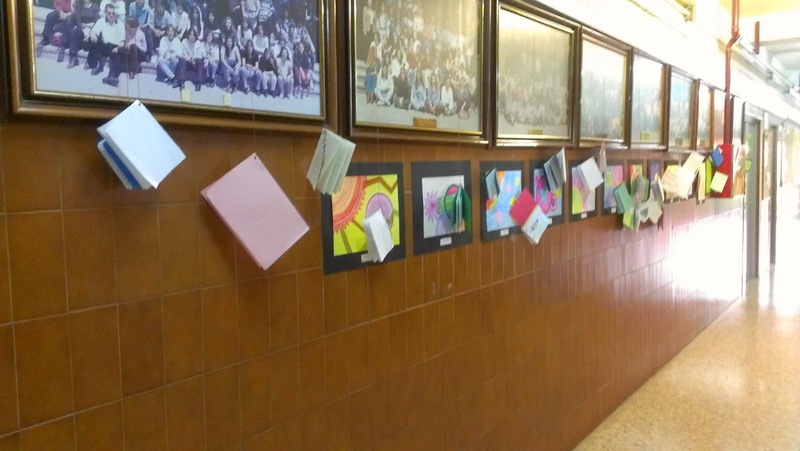 After voting, the teachers selected the best and the students presented them in the library as part of RECREARTE project. Last 3rd of March, the Science Department organized a trip to The Science Museum in order to do some interesting workshops related to different real experiments.